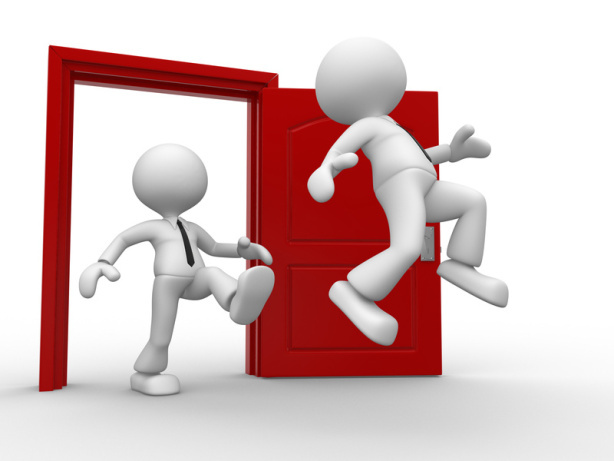 We have written various articles about termination happening in CTS. Many employees worked in Cognizant has contacted our union seeking our help and support in their regards. We also initiated 2K petition based on the announcement of Cognizant layoff plan in Chennai labour office and this proceeding is going on in front of labour officer. Cognizant management has not appeared for this hearing and we have attached few affected employees as part of this case. This article is follow up of various happenings in Cognizant which is sent by one of the senior Cognizant employee. He is currently terminated from Cognizant and his experience will help fellow CTS employees to understand overall how terminations are developed and implemented in current scenario. We compare his experience with many other people who talked with us and the pattern of termination followed by Cognizant is almost the same across all employees. Now we will hear from affected employee himself. He has attached the copy of his termination letter partially to make outside world understand this process and he has hidden his identity for various reasons. We will hear it directly from the employee itself in this article here after. I am one of the senior employee working almost 2 decades with Cognizant. I was released from the project which I lead and was made to sit in bench. I have been in bench prior also but I feel lot of difference when I was placed in bench this time. After a month time being in bench, I was called for an interview by my HR officer and I started realizing what is going to happen to me. I was told by my HR officer that there are no suitable jobs for my profile in Cognizant and he has given advice to look after new job outside. The meeting was over with that note. I started searching for jobs outside but being in Information technology for 3 decades, I start realizing reality of getting new jobs. I didn’t get even single interview call after floating my resume to various companies and job portals. Days also passed and my duration of bench stay started increasing. Now I am getting frequent calls from HR officer and different other people of Cognizant to submit my resignation. I explain my situation and mention them that I will resign whenever I get new job. My HR officer wants to keep this time bound and if I am not getting job within next 15 days, company will initiate compliance issue. I was not able to find any job in the meantime given to me. At this stage, I started exploring options to save my job. I come across different unions and started approaching different unions. I have contacted NDLF as part of this journey and I discussed with several people as part of NDLF group. I attended NDLF meetings also and I approached legal help with help of NDLF members. I was advised not to submit my resignation under any circumstances. So I started resisting to submit my resignation and started mentioning that it is not possible for me to submit self-resignation. My HR officer abruptly stopped the discussion after hearing me speaking so confidently. After 2 days of the meeting, I received show case letter from my HR copying different managers. As part of my show cause notice, I was questioned that I am in bench for almost 150 days. It also mentioned that company has given 3 different opportunities and I refused to take those opportunity. I was asked to appear in person and asked to give my part of explanation for this notice. The problem here is some of these opportunities mentioned is not even known to me and I am not clear when I refused to take these openings. In the initial stage of my bench, I was allocated project in location which is other side of the country and I mentioned due to family commitment, it will be difficult to take the assignment. It was closed and company did not force me to go and work in that location. I prepared my explanation in detail and appear for the show cause clarification meeting. I mentioned that I am ready to work in any place across the globe at this stage and help me in allocating to project. I also mentioned various contributions I did with Cognizant. People who attended from management side mentioned that explanation given by me is not satisfactory and management will take next course of action shortly. This meeting was over in less than 15 minute time frame. I did not hear anything from management for next 2 week time. Suddenly after 15 days of this incident, I received my termination letter in my mail. It is mentioned that my explanation given is not satisfactory and since I did not upskill myself, there is no opportunity which fulfil my skills in Cognizant so company has terminated my services with immediate effect. The company also appointed a retierd Judicial Magistrate as Ombudsman and gave me an opportunity to appeal if I am not convinced with company decision within 15 days of me receiving termination letter. (Line showing ombuds person name is deleted to maintain confidentiality). My services with Cognizant ends after this termination letter. I have then started my fight through ombudsperson appointed and also filed separate 2A petition in labour office as suggested by NDLF. This is the content we received from ex-Cognizant employee. As we mentioned, we talked with almost 10 different people worked in Cognizant in different locations and almost everyone has gone through the same procedure for termination. The layoff screenplay starts with bench, HR calls, Showcause notice, termination letter, ombuds appeal and labour office appeal. The pattern is same across all employees.